Superheroes are all about wish fulfillment but every so often an idea comes along that takes that idea and distills it to its most basic essence: You’re a kid who can say a magic word and be thunderbolted into the World’s Mightiest Mortal? Well, that’s about as good a concept as you’ll find, right? 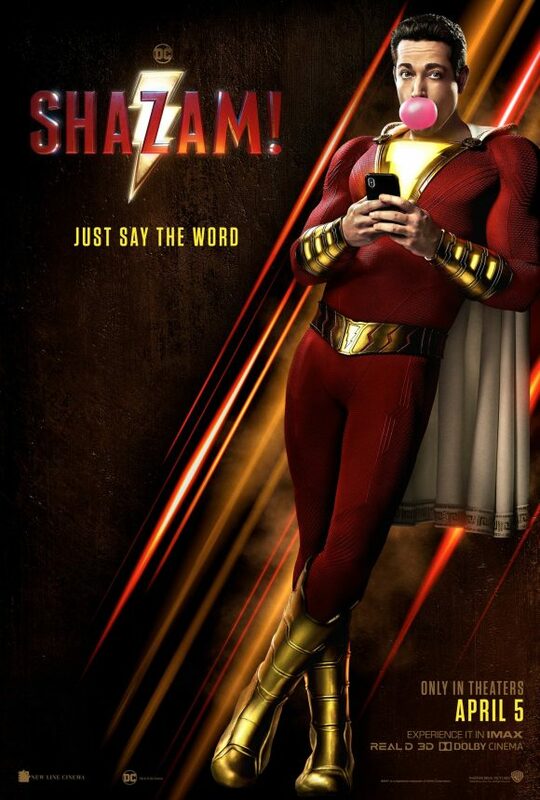 Well, fans of the original Captain Marvel Shazam! will find out this week as the Big Red Cheese makes his modern screen debut. The original feature lasted from 1966 to 1968 but the concept has been revived a number of times — and it’s back again as part of Brian Michael Bendis’ sunny Wonder Comics imprint. 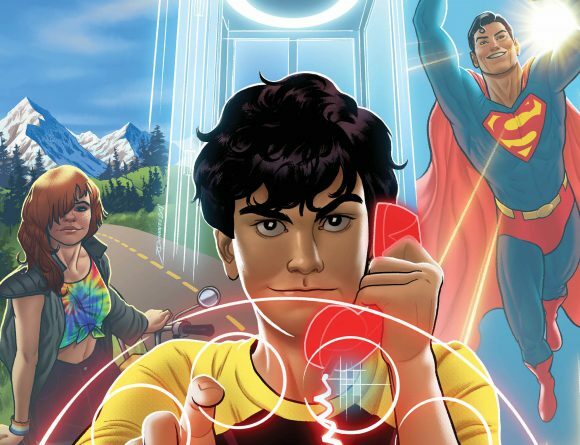 Dial H’s debut and its Bronze Age revival. 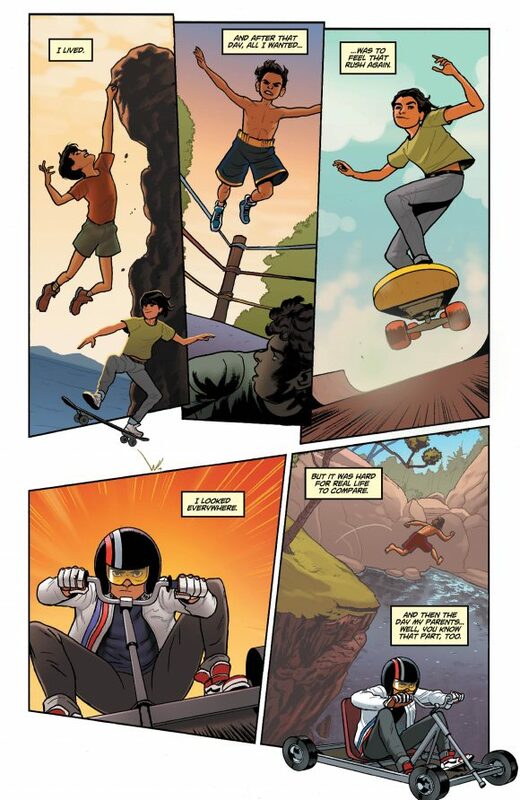 Dial H for Hero, helmed by writer Sam Humphries and line artist Joe Quinones, has just debuted and it has a wonderfully subversive twist: A teen named Miguel has his hands on an H Dial and when he transforms, the art transforms with him. In the very first issue, for example, he becomes Monster Truck — an homage to the kinetic, overly muscled style of the ’90s, a la Rob Liefeld. 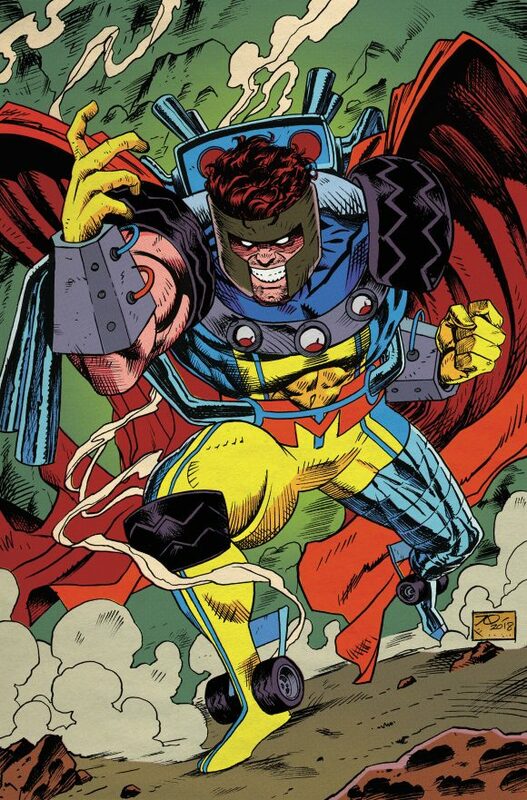 Future issues will feature similar tributes to comics’ rich history. 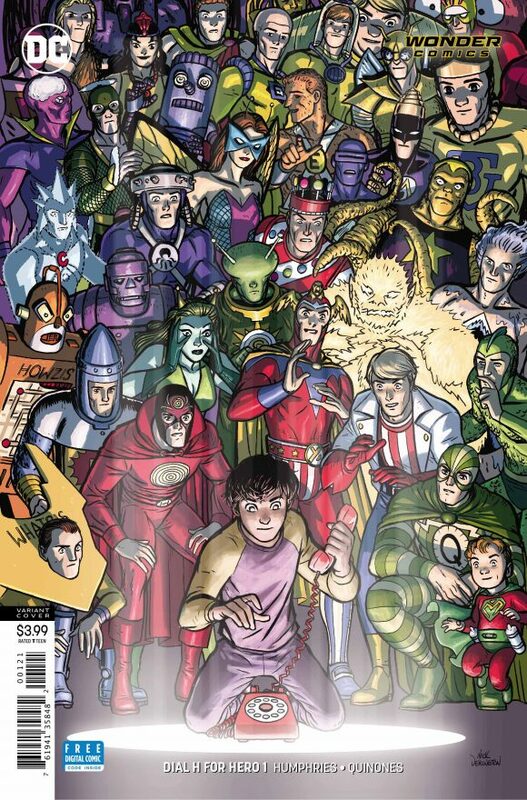 At the same time, Dial H’s own legacy is very much on the creators’ minds. So, if you’re as into comics history as I am — and you probably are if you’re here — check out the new series. And start counting the minutes before the Dial H idea gets co-opted for the screen. Because how could it not? Dan Greenfield: How did you get involved in the project? Sam Humphries: It was Brian Michael Bendis who got me into the project. When he was coming over to DC, he was telling me about the imprint he was going to do that was going to focus on younger heroes. And I thought that was such a grand slam for both the DC team and Brian. So he came to me with Dial H for Hero and I said “really?” (Laughs) Because I was not familiar with Dial H at the time, I went back and I read some of the old runs, and that’s when I fell in love with the limitless creative potential of the franchise. Joe Quinones: (Editor) Andy Khouri brought me on to the book initially, selling me on the concept of the book overall and the creative license I’d have with such a title. Hearing Sam was involved was such a huge boon since Sam and I had been wanting to work together for some time. Soon after Andy approached me, Sam and I spoke on the phone to bounce ideas back and forth on what we could bring to the series. By the end of the call, I was sold. Dan: How much of have you read? Which series did you find the most entertaining? Sam: I think Marv Wolfman’s run is really underrated. Joe: The Dial H series were before my time, so I hadn’t read them before coming aboard. I do enjoy the wackiness of the original Silver Age run. It’s completely unafraid to get very weird, very quickly and I both love and hate Whatsis. Dan: Which of them most influenced your new series? Sam: That’s a great question because legacy is the beating heart of the DC Universe. And Dial H for Hero is a title that some people don’t know about, or never heard about, or they don’t think it’s a big deal. But for me and Joe, we emphatically disagree. 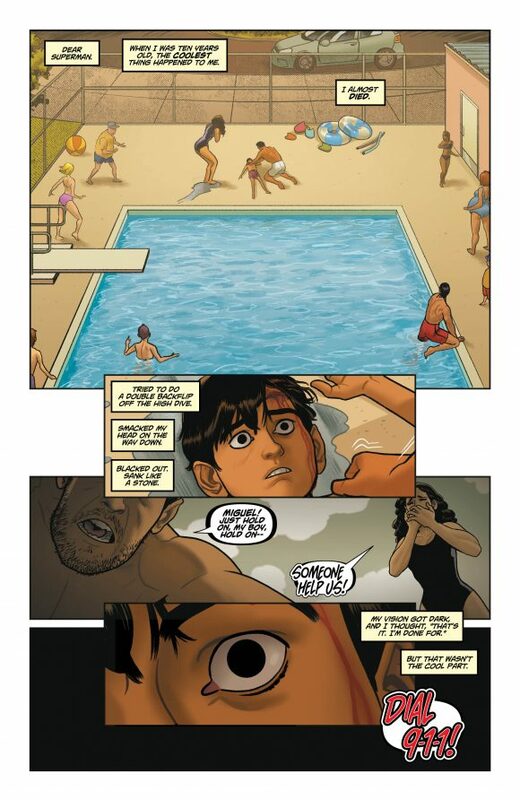 (Laughs) We’re going to be able to show people how important Dial H for Hero is by connecting it to its deep mythology. By showing that it has legacy just like the Bat-family or Wonder Woman or Shazam! 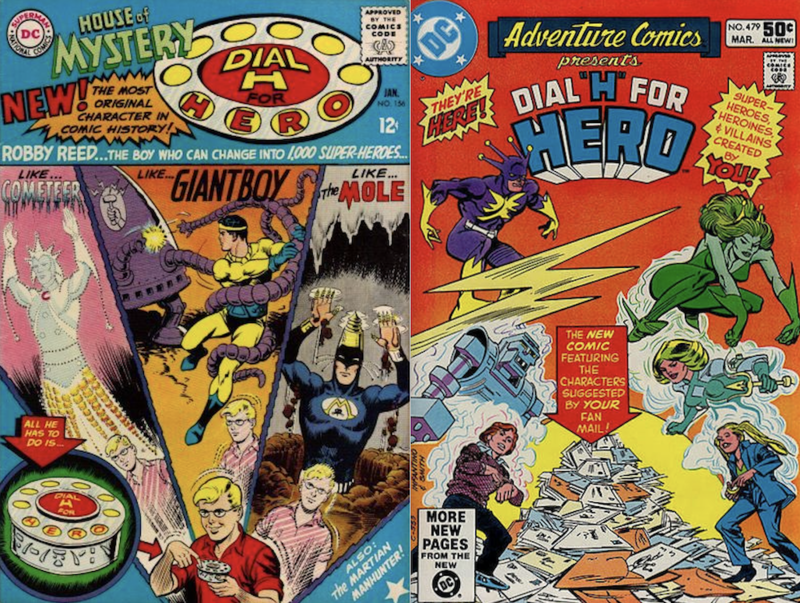 Part of the legacy of Dial H for Hero is that anyone can pick up the H Dial and become a superhero for one hour. And that’s reflected in each run of the comic. Each one has a different protagonist or set of protagonists. So this comic is very much within that powerful legacy. We have two new characters, Miguel and Summer; they’re polar opposites in some ways, but both of them crave escape and transformation. They’re both stuck in bad family situations in a small town in the middle of nowhere. And the H Dial, to them, represents all those things! But also responsibility and danger. Joe: Moreover, we’re drawing upon the legacy of comics as a whole. Nodding to and drawing from several of its incarnations across decades. Dan: Dial H is an inherently great idea yet there’s never been a series that’s lasted in the long term. What are you bringing to the concept that you hope will give the new version staying power? So, when a character on the page dials HERO, the reader is going to get to feel the power of that transformation as well. In Issue #1, we see one style of transformation. In Issue #2, we’ll have multiple styles. In Issue #3, even more styles. Every issue we’re upping the ante. We’re combining and remixing and colliding comics in a way we don’t think we’ve ever seen before. Joe: I think we’re toying with something new here. It’s been exciting to have the fabric of each issue be redefined with every succeeding H-transformation. It keeps us on our toes and the artistic exploration has been really satisfying. Jordan Gibson, our colorist, has been doing great work adapting his colors to fit each transformation. I think people are going to be bowled over by his work here. Dan: Will any of the old heroes pop up in the series or will we just see new creations? Sam: Tune in to see. Dan: Joe, you have a very distinct art style, yet I love the idea that the series will pay tribute to styles of the past. Whose art should we expect to see mimicked over the first several issues? Joe: Thanks very much! Well, it isn’t ever just one person, but rather an amalgam of artist styles from various titles kind of extrapolated from one another then put through my own artistic filter. Expect to see characters drawn from comics both American and not, from across the long history of the medium. Next issue we’re focusing on two distinct and polar opposite styles of manga. The fun of it is to see them bounce off each other as well as my more default style as the characters’ realities change and bleed into one another. Dan: Where are you finding inspiration in your hero designs? Joe: Comics! Comics I do read. Comics I have read. Likewise for Sam. We like to hop on the phone before an issue to hone in on who or what books to focus on or draw upon. We’re big comics fans and it’s fun to nerd out over them. 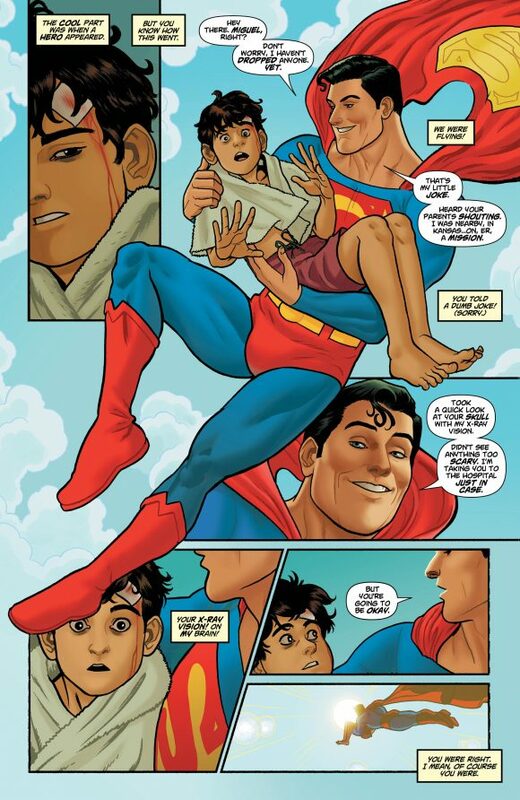 Dial H for Hero is a bit of a love letter to our favorites. Dan: Sockamagee — yea or nay? Sam: If you’re Robby, all day long. If you’re not, find your own catchphrase. 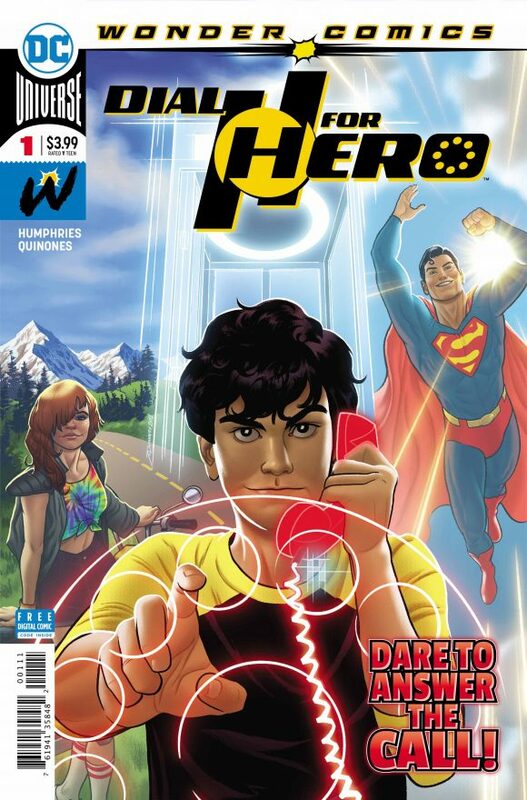 Dial H for Hero #1 is on sale now. I’ll definitely give this series a read. This takes me back to my boyhood when I bought the originals House of Mystery and Adventure series of DHFH comics. They say that the character of Robin the Boy Wonder was created to give young boy readers a feeling like they too could be a hero like him. Dial H for Hero did that and more to youthful imaginations.